Fashion is your style and personality, it is whatever it means to you. So whatever you consider to be fashionable is your style and it does not necessarily means that people should like your style, as long as it gives you happiness and you find joy in it, you don’t need to worry much on what people perceive of you. Keeping up with trends means been informed on what is happening in the fashion industry. Fashion enthusiast, Fashionistas, Fashion models, Fashion influencers would agree with me that fashion changes quickly and the reason is not far-fetched, fashion is not stagnant. By this, I mean that what was in vogue in the 1990’s has gone into extinction, we can only have what I call Re-modification. There was a time when Oleku (common among the women) was a trend. This particular style was a Re – modification of the Buba and Iro style in the Yoruba community. However, keeping up with trends does not necessarily means that you have to be in the Fashion Industry, you can always inculcate the fashion habit into your personal day to day life. Keeping up with trends does not mean that you should go to the extreme just because you want to leave up to the standard. Personally, I would always advise to ‘’ Cut your coat according to your cloth’’. That way, you don’t go bankruptcy all in the name of been fashionable. I would be highlighting some tips on how you can keep up with fashion trends. 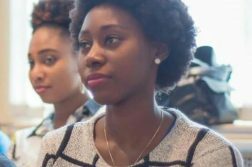 Fashion Shows: one of the ways you can always stay glue to fashion is by attending Fashion shows like Lagos Fashion week, GT fashion week, Arise Fashion week etc. 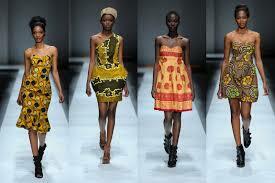 However, getting access to this fashion show might require a lot of resources as it might be costly. So, I would advise you watch fashion shows on the television or any other electronic means in case you cannot attend, by this you would get to know what designers have in stock and you would be ahead of the trends. Fashion Publications: Another means of keeping up with fashion trends is by reading fashion publications ( Print & Online). Reading fashion publications can also update you on fashion items that are in trends. 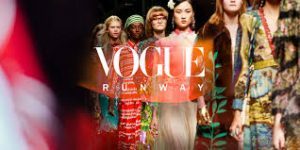 Examples of Fashion publications (Print and Online) you can always check out include Vogue Magazine, In style Magazine, Cosmopolitan Magazine, Bellanaija, Linda Ikeji blogspot, Denolagrey.com etc. Social Media: The world is Information driven and no one dares to underestimate the power of social media. One way of staying informed about latest fashion items is by following designers, celebrities whose style you admire on various social media platforms like Instagram, Twitter and Facebook, since popular designers and celebrities are always feeding their followers with what they have got in stock. In such cases where you cannot attend fashion shows or even read fashion publications, social media is one of the places you can always get information about fashion items that are in vogue. Window shopping: Window shopping is another way of keeping up with fashion trends. When you go for window shopping you get to know stuff that are in trends and it helps to broaden your fashion sense. Most of the boutique out there are places you can always get current fashion items.